Blackberry Oaks Golf Club (2245 Kennedy Road, Bristol, IL). The cost is $100 per person or $400 per foursome. Deadline to sign-up is Saturday, September 29. 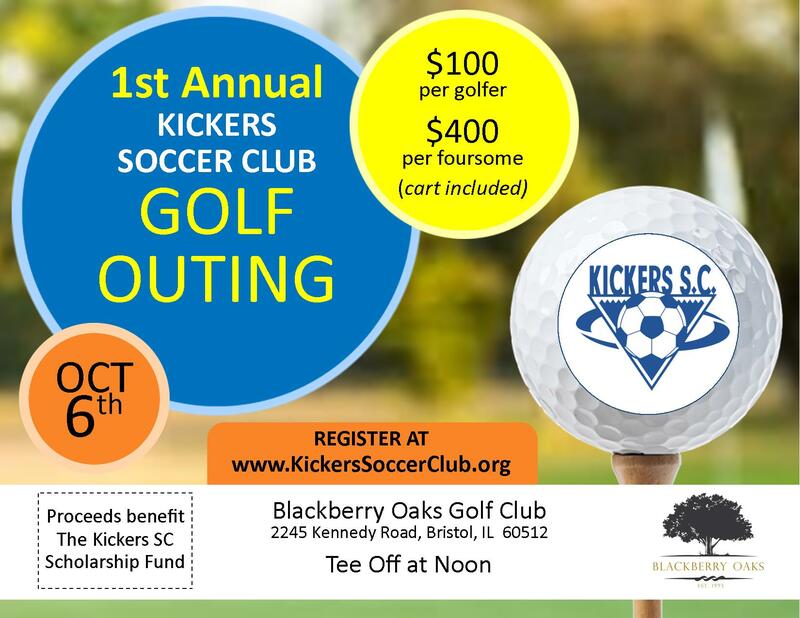 Proceeds to benefit the Kickers SC scholarship fund.